Every business has ideal customers. Not every business knows how to target them. 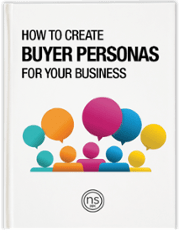 This fun, simple and easy to use template guides you down a step-by-step journey on how to create buyer personas for your business. These personas will ensure every advertising dollar is going to the right audience, thus reducing waste and increasing revenue. It gives every business owner and marketer an opportunity to reflect on their core business and builds the groundwork for marketing campaigns that maximize Revenue while reducing Customer Acquisition Costs. Define what a Buyer Persona is and why you need one. Reduce wasted spend on current campaigns. Ensure future campaigns are set up properly from the start.